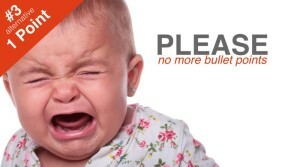 Any one that has seen me deliver a talk on presentation design will probably tell you that I hate bullet points. 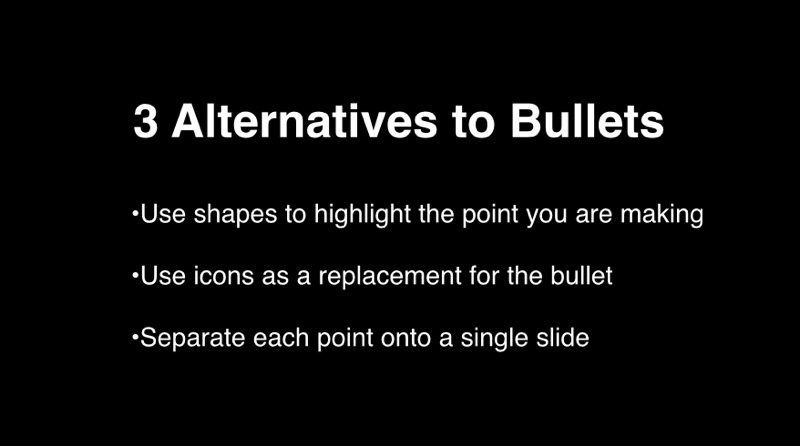 As my mother would say “hate” is a very strong word and I would rather say that I dislike bullet points rather strongly and will do my best to avoid using them when presenting. 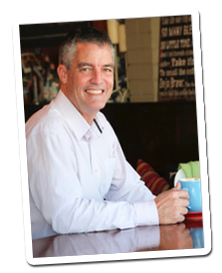 Bullet points at best allow the presenter to place too many elements on the screen leading to brain overload making the information less likely to be retained. 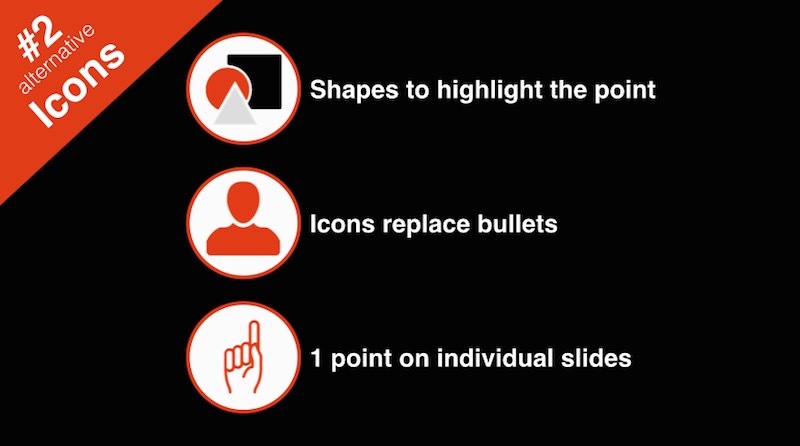 In this post I will be demonstrating 3 bullet point alternatives that could be considered when designing presentation slides. I have also provided samples as an alternative to the slide below (this slide only has 3 bullet points, many have much more). 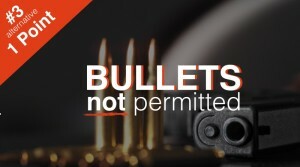 Shapes are a alternative to bullet points. There are so many variations of shapes available and a mass amount of formatting options. Shapes can be used on a plain background as well as layered on top of an image to highlight the text contained within. 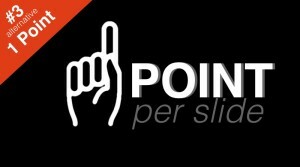 Fewer points can be displayed on a single slide and contained within the shape. Different colours can be used to highlight each point. In the slide below you can see that the different coloured shapes have a slight transparency and have been layered over a image. 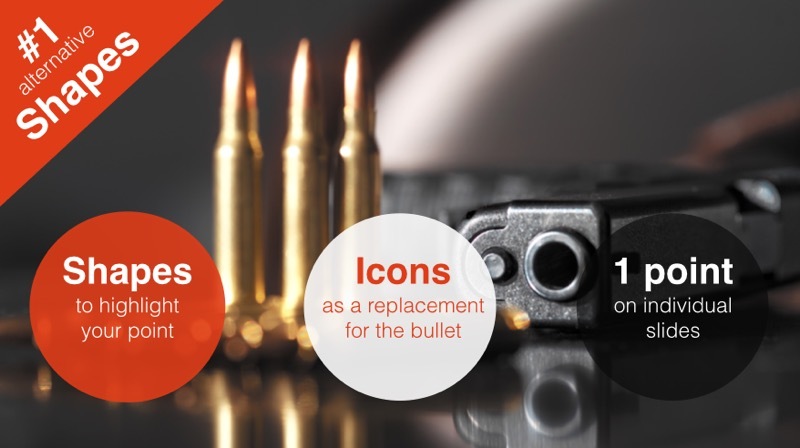 Icons are an effective replacement for bullet points. Icons use the same methods that images do, in that there is an element that the audience can tag the message to. There are several stock sites where icons can be found. The site I nearly always get icons from is thenounproject.com. You will need to use a simple image editing program in order to make colour changes to the icons as I have done in the slide example below. Containing 1 point on individual slide is, in my opinion, the most effective method of getting each point across. 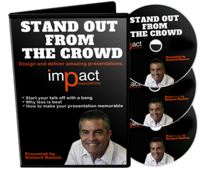 Having only one point on each slide reduces the elements on each slide giving the audience less to process during the presentation. The audience will also be able to concentrate on just the point the presenter is speaking about rather than reading ahead and they are less likely to still be thinking about the previous points. Of course this means that there will be more slides in the presentation but nothing wrong with that is there?